Hello wine lovers and happy wine Wednesday! I feel a bit lucky to have January 1st be a Wednesday and what a way to start the year than to be able to write a post to you all and say thank you for your contributions, comments and feedback. 2013 was quite a year for me. I successfully completed my WSET Level 3 Advanced and became a paid and published wine writer…something that I have, quite honestly, always wanted to be. I attended my first wine blogging conference and met some truly incredible people. In July I was able to travel to the Champagne region of France where I toured the big Champagne houses and again met some wine lovers from all around the world. Finally, I went up to the Okanagan wine festival in October and had a chance to meet and interview four remarkable wine makers. Truly a ‘dreamy’ kind of year for me and my love affair with wine. I am not at all sure how I can possibly top that kind of year!!! December 31st is my Mom’s birthday and I took her out for a three-hour lunch at the Arms Reach Bistro in Deep Cove. It was nice to spend some time together and connect over a nice bottle of B.C. Sparkling Brut – Blue Mountain Gold Label…nice and crisp and delicious. David and Mackenzie went to their first production of the Nutcracker together ( with compliments of Sylvia Talbot ) and it was a wonderful way for two of my most favourite people to spend time together. 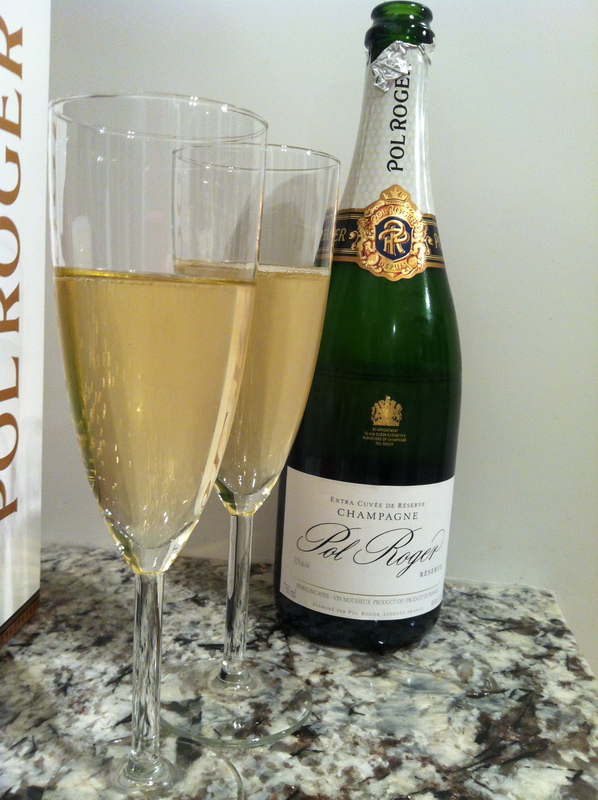 David and I rang in the New Year with Pol Roger‘s stunning champagne. It ranks very high on my list of favourite bottles of non-vintage bubbly – delicious. Next week, I start my French Wine Scholar program in which I need 75% just to pass. Wish me luck – I am still a bit overwhelmed at the knowledge I am going to need but I feel confident that I can and will succeed…I guess it is one of my resolutions to have the initials F.W.S after my name this year – let’s see what happens. Thank you again for following my wine journey with me. Fabulous commentary. I am wishing for you an even more exciting 2014 and a super successful FWS outcome. Perhaps the first post in 2015 will be from Peidmont.